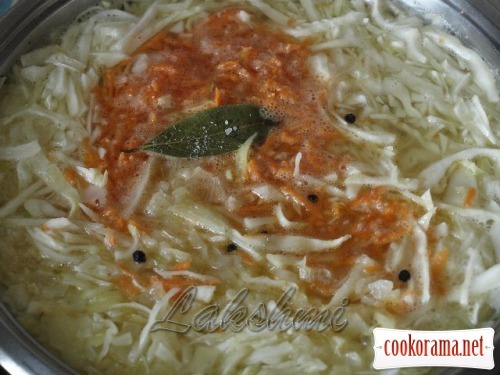 Often in post my prepares in-law cook such soup. 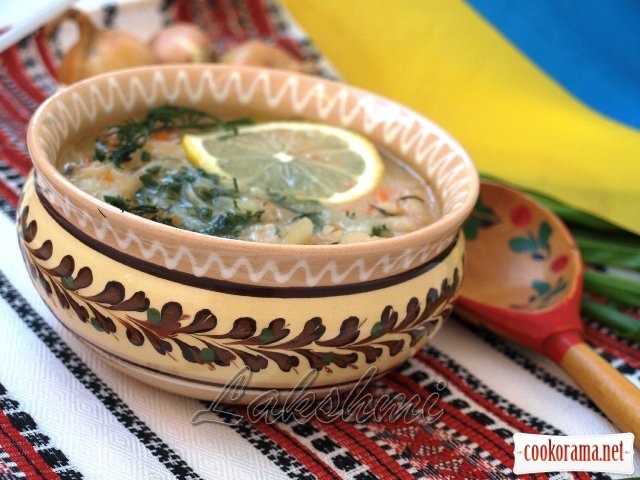 I often cook borscht, pickle soup, decided to try cooking soup by her recipe and was very pleased. 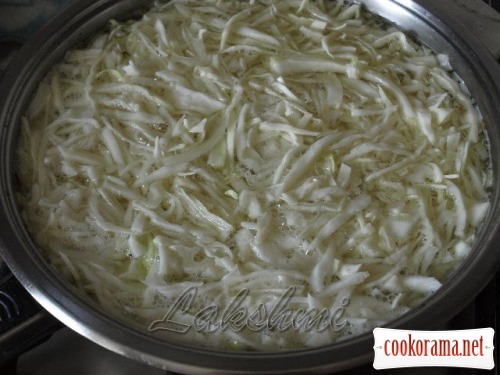 Hopefully recipe is useful to those who hold fast, and those who care about cabbage and onion. 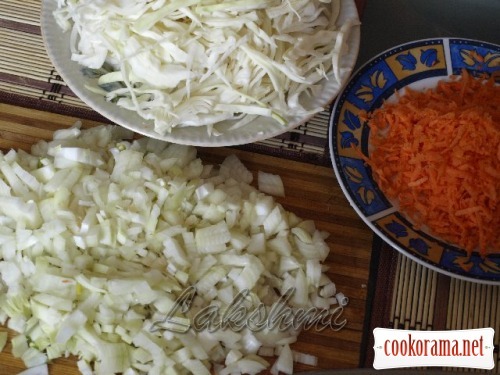 Dice onion finely, grate carrot, chop cabbage. 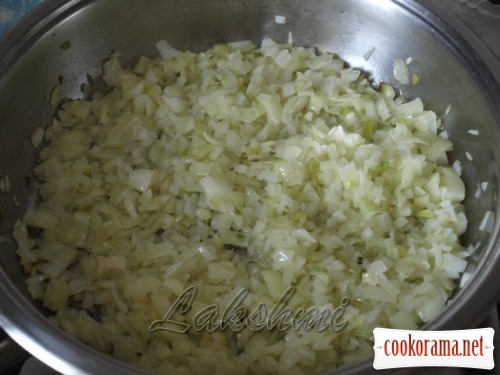 Fry in half of oil onion till transparency. Then pour onion with water and add cabbage. Bring to a boil. Add grated carrot and spices: bay leaf, black pea pepper, salt. Boil for about 15 min. 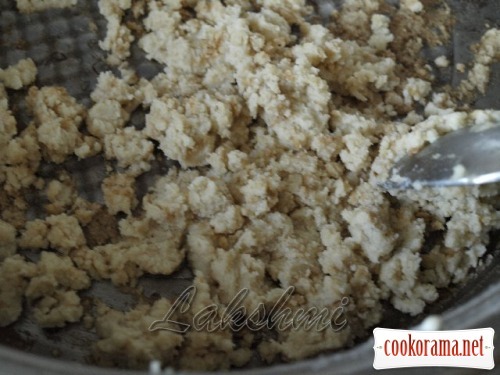 Heat remained oil and fry flour in it, add in soup, bring to a boil. Let the soup stand for 5-10 min. Add in plate with soup dill and, if desired, lemon. 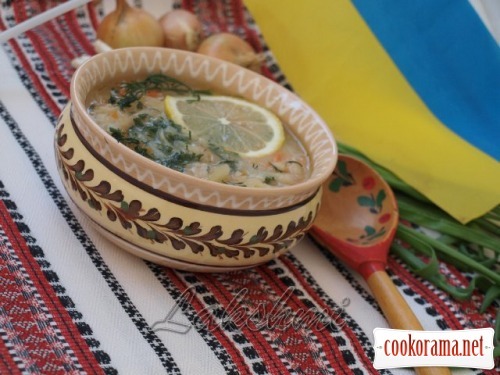 Top of recipe "Onion lean soup"
Ліка, в піст — те, що треба! Смачно і оформлення фото таке наше українське! Я б залюбки з таких мисок їла.